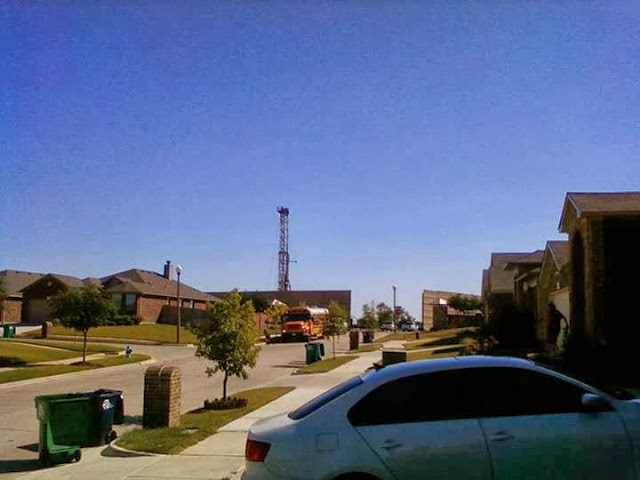 The Denton fracking ban has energized an important discussion about the political authority of municipalities and the role of citizens’ initiatives in a democracy. This is often couched under the label of local control, a core conservative value that state legislators are now hypocritically attacking (I’ll have more to say on that soon). One of their strategies is an appeal to rule of law. In a nutshell, the argument is something like: “Local control is all well and good as far as it goes. But it is not an absolute value. Taken too far it becomes mob rule. The Bill of Rights prevents majorities from stripping minorities of their civil liberties. Just because an ordinance is passed by a city or citizens’ initiative, doesn’t mean it can trump certain basic rights that are afforded all U.S. citizens.” Here’s one example of this argument. No one will dispute the possibility that local control can be misused to violate Constitutional protections. But this argument doesn’t apply to Denton’s hydraulic fracturing ban. As we’ve maintained all along, the ban is legally sound and indeed it is less restrictive than other valid Texas ordinances. The rule of law argument can quickly become a distraction used against a straw man. For example, an editorial in a Colorado paper compared the situation of mineral owners and the industry under local hydraulic fracturing bans with the plight of black Americans under Jim Crow laws. If this isn’t offensive, it is at least way off base. Denton’s law is not depriving anyone of their property rights (or any civil liberty). It is simply a recognition that the rights of all citizens to peacefully and safely enjoy their property trumps the imperative to maximize profit from mineral resources via a hazardous and noxious well stimulation technique. Securing equal rights for all citizens requires limiting activities that harm others. Indeed, the rule of law argument actually favors the Denton ban, because it was the only remaining path to secure the basic rights of citizens put in harm’s way. Let us not forget for how long and hard the people of Denton worked to draft a set of reasonable rules. Leaning on systematically biased state laws, the industry refused to cooperate. On November 4, bad neighbors got their comeuppance. In reality, the rule of law argument is being used as the sheepskin around the wolf of state corporatism. The oil and gas industry owns the state legislature. They fund the campaigns of law makers and regulators. As a result, they have been able to put in place a legal system that prioritizes their profits over health, safety, commun ity integrity, and welfare. This is why local control is so vital in this context: municipalities are the only level of government concerned with protecting the people exposed to the harms of fracking.Rule of law is only as good as the laws that are ruling. With vested rights, non-disclosure of chemicals, non-reporting of emissions, the dominance of the mineral estate, lax enforcement, and much more, the state allows the industry to run roughshod over the people. Those appealing to the rule of law at the state level need to get busy making some better laws. In the meantime, local communities will need to continue to stand up for the rights of those neglected by the state. Local municipalities are the only form of government that is easily accessible to it’s citizens. By way of City Council Meetings, or in person meetings with the mayor or city council member, do we really have the opportunity to address issues that impact our daily lives. We truly have a voice, and a real opportunity to open a dialogue. The mayor and council also live within the community, therefore placing them in the position of literally living with the decisions made. The State elected people have made it clear they have no interest in protecting anyone outside of themselves, their interests and political funders. Natural gas development is an industrial activity, and comes with many risks. This activity should be limited strictly to industrial zones, and well outside the potential impact area of homeowners, playgrounds, parks and schools. Just because this industrial activity gives someone a job and someone else a royalty check does not lessen or negate the rights of the many others impacted, no matter how small the impact. It is never a good idea to let the people causing the impacts dictate the rules. define ‘safe’ and ‘responsible’ or level of risk.